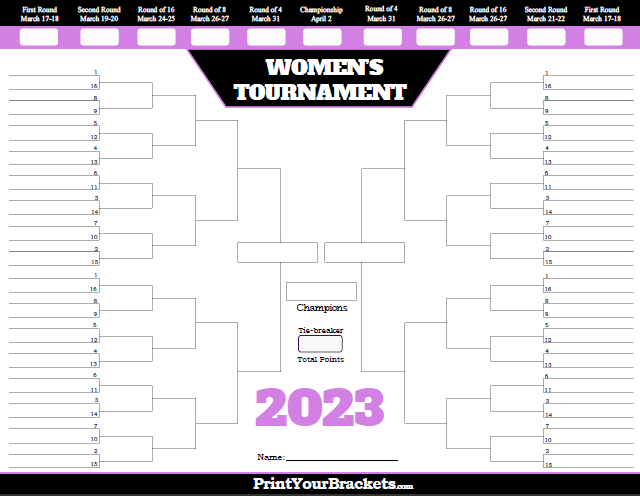 Below is our uniquely designed 2019 Women's March Madness Bracket. The bracket is set up to run a pool, just as our Men's March Madness Bracket is. The bracket includes blank boxes below each round at the top of the bracket. These can be used to either write in the points each round is worth, or to write the total points each participant scores in each round. The bracket also includes a place for participants to write in their name and tie-breaker guess, which is the total points scored in the championship game. When does the Women's NCAA Tournament Start?